January 2018 istock coupon codes are here! Save now with iStockphoto 33% OFF coupon codes when you purchase new/old credit packs. iStockphoto is one of the more popular royalty stock agency. It is the preferred choice for finding good quality stock photos for the lowest price. You can find royalty free stock photos, videos, illustrations, Flash and audio to use for your commercial projects. Signing up is easy and you can choose to purchase credits or subscribe to subscription plans. When you use the iStockphoto voucher code, you will get a special 15% discount. So sign up now to enjoy this iStockphoto promo code before it ends! 10% OFF credits for all!!! 15% OFF annual subscriptions for all customers!!! Get 33% OFF when you buy 300 iStock credits. Why Buy Stock Photos from iStock? Stock photos can be used for your commercial projects or website. Hiring a photographer to shoot photos can be expensive and the solution is to purchase stock photos from iStockphoto. You can purchase different sizes depending on your needs. If you are intending to use it brochure, you will need to download a high resolution to ensure that it will print out sharp. Stock photos can be used on flyers, brochures, websites, powerpoint presentations and many more. Prices start off with $13.99 for 8 credits to $1,465.00 for 1,000 credits. The more you buy the cheaper each credit cost. I recommend buying 30 credits to start off at $49.99. This cost about $1.67 (1 credit) to buy a royalty free stock photo to use for your website. 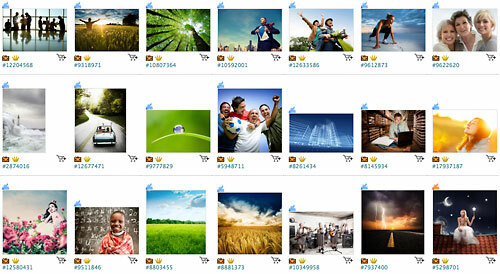 iStockphoto has one of the highest quality stock photos for the lowest price. All the photos are carefully checked by the staff to ensure the quality is there before made available in their stock photo library. You can find lots of creative ideas and photos in the photo library from lifestyle to product shoots. If you are looking for Getty Images’s quality of photos without paying the high price, you can look at the Vetta Collection. It is carefully selected by the top photo editors for the creative concept and art direction. You can find a huge collection of quality vector illustrations for your design work at iStockphoto. Custom borders, special effects, badges, icons, ornaments can be found at the Illustrations library. It can help you quickly finish your design project without having spending time to create vector graphics from scratch. For a starting price of 1 credit, you can now download your favorite illustrations from iStockphoto and use it in posters and brochures. 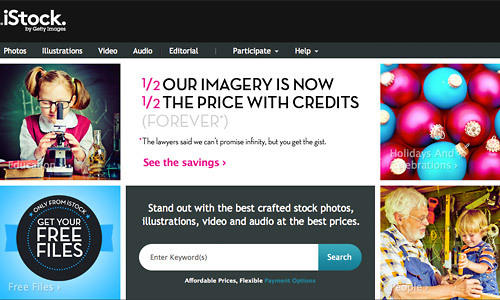 How to Use the iStock Coupon Code? Click here to sign up at istockphoto.com. Once registered you will be able to buy credits. Select the credits you want to buy and proceed to checkout. On the checkout page, you will see a text field to put in promo code. Simply enter the iStockphoto coupon code to enjoy discounts! Thanks for the istockphoto coupon code. Saved me a few bucks. Just saved a few bucks using the January istockphoto codes. Thanks! Yes! Finally something about free coupons.